Born 17 Sep 1735. Bishop of Ardfert and Aghadoe (Kerry) 1775 – 1786. Bishop of Cork from 1787 – 1815. Bishop Moylan was responsible for the building of the Cathedral in Cork which opened in 1808. He also ordained Fr. John England the same year. Francis Moylan was born in Douglas, Cork on September 17th, 1735, the son of a prosperous merchant. As the penal laws made it impossible for a Catholic to receive a proper education in Ireland he was educated in Paris and later studied theology at Toulouse University. He was ordained to the priesthood in 1761. He was for a time a curate in Paris but he soon returned to Ireland. In 1775 he was consecrated Bishop of Kerry and in 1786 he was transferred to the Cork Diocese. In political terms Francis Moylan was opposed to the French Revolution and to the new emerging ideas associated with republicanism and nationalism. He was opposed to the United Irishmen as he disagreed with the idea of physical means to achieve political objectives. He was regarded, by many, as a unionist. The appointment of Dr. Francis Moylan to the See of Cork in 1786 marked the beginning of a new epoch in the history of our diocese. The most urgent task demanding the attention of the new bishop. was the reparation of the religious and social ravages of the penal laws. The Relief Act of 1793 removed many of the legal disabilities that weighed heavily on Catholics and cleared the way for Dr. Moylan’s pastoral reforms. When he returned to Cork City there was no Catholic Cathedral, no seminary and Catholics were disadvantaged in many ways. During his tenure as Bishop he saw the completion of the Cathedral, the building of a seminary and he helped establish Maynooth University, of which he became a trustee. He approved the founding of the Presentation Sisters by Nano Nagle in 1776 and continued to support their work in the city. During his tenure the Christian Brothers and Ursuline Sisters were also established in Cork. He personally introduced Brother Ignatius Rice’s Brothers to make their first foundation in Cork – in the north parish (the North Monastery). He helped to establish and direct the city merchants’ committee in setting up a score of schools for the illiterate children of the back lanes and alleys of the city. Bishop Moylan was also active, with several Catholic laymen, in taking control of the local newspaper “The Cork Mercantile Chronicle”. He appointed Father John England as editor. While he initially supported the government’s campaign to have a veto on the appointment of Catholic bishops, the campaign run by Father England in the newspaper saw a change of mind by the Bishop. You can download here in PDF format an insightful paper by Joseph F.X. McCarthy on the life of Stephen Moylan, brother of the bishop, who emigrated to America and played a leading role in the American Revolution. 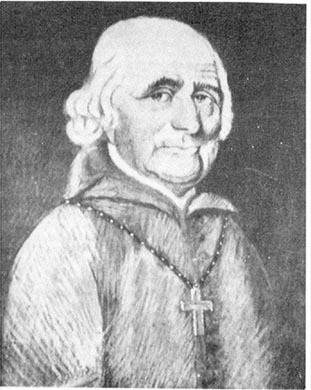 Bishop Francis Moylan was an ardent proponent of Catholic rights and, during the 1790s, he worked for the repeal of the remaining penal laws to allow Catholics have access to political rights. He was also against revolution when revolution and the politicastion of the masses. This Pastoral Letter published in 1798, shows his belief that if Catholics continued to be loyal to the king then further concessions from the government could be expected. Moylan?s stance may explain the relative tranquillity of the Munster region during the height of the 1798 rebellion.